The overwhelming triumph of treading up to the 18th hole after tackling the challenging greens of Course No. 2, is a very special and widely-felt sensation like no other. The No. 2 flag flying in the wind as you finish the round is a beautiful, memorable moment any true golfer appreciates. 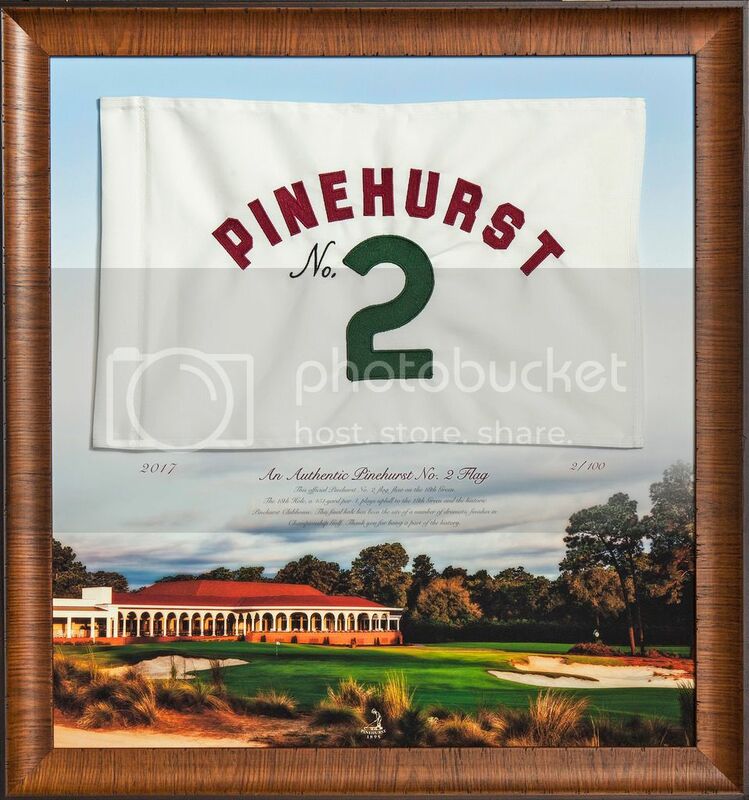 We would like to offer you a reminder of that feeling with our framed Pinehurst No. 2 pin flag. These special edition flags come elegantly framed by Miller Brown, and allows you to take home a part of 100 memories given on Course 2. Each framed flag is individually numbered, (1-100,) therefore requests for certain issue numbers cannot be fulfilled. You don't want to miss out on this opportunity!